Emerson F61-2689 wall plate is a new decorative wall plate designed exclusively for Sensi Touch Wi-Fi Thermostat ST75. 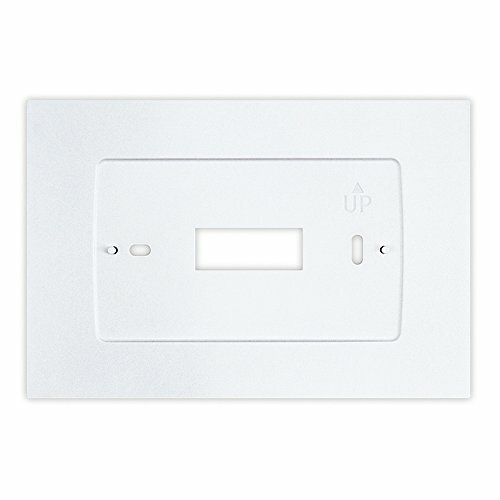 The wall plate is white in color, and features a soft-curved front to complement the look of the thermostat. The wall plate measures 6-3/4" x 4-1/2", and covers most paint or wallpaper issues left from other thermostats.